One of the most common reasons I hear as to why people don’t commit to a personal training program is due to a hectic lifestyle and limited time. Between work responsibilities, family life and social commitments, people barely have time to sleep much less workout, right? Wrong! Let’s be honest… we make time for the things we want in our lives. Whether it’s a new pair of shoes, a new car or much needed getaway, when we decide that we want something… or even better, that we DESERVE something in our lives, we do it and then justify it later. We find both the time and money to make that thing become a reality in our lives. 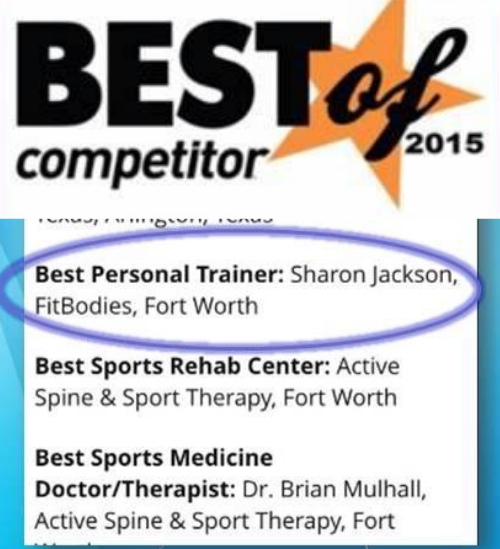 FitBodies by Sharon 30 Minute Express Training Makes It Easy! In these high intensity, focused workouts, Coach Sharon makes the most of your time. Each session is planned with maximum efficiency in mind while maintaining a fun, safe environment. Specialized workouts designed to be fast, effective and efficient. A variety of training utilizing body weight, free weights, HIIT training and more to ensure you don’t hit the dreaded “plateau”.